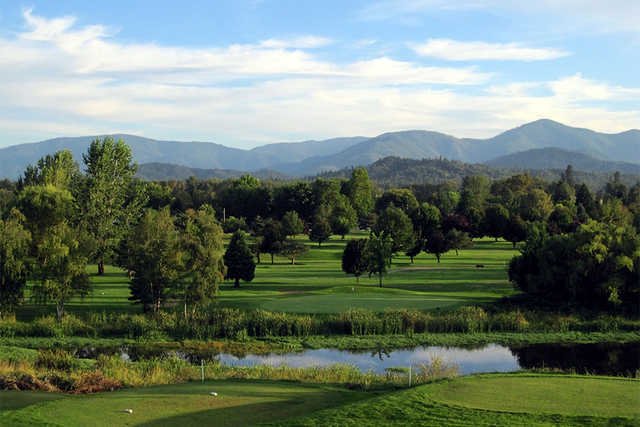 Nestled in the beautiful Rogue Valley, Dutcher Creek is located on the site of the old Boersma Dairy. 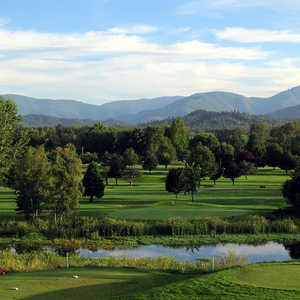 Pastureland and apple orchards border the par 70 course, and expansive 360 degree views of the Siskiyou and Grayback mountain ranges can be seen from every hole. 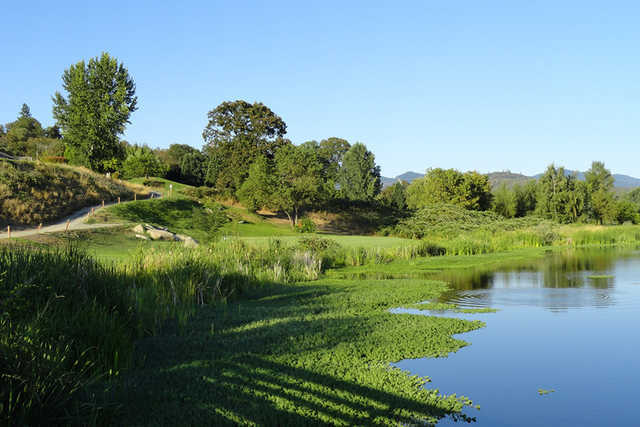 Water adds a touch of beauty and challenge on 12 holes as creeks, lakes, and ponds come into play. You'll often catch a glimpse of waterfowl and wildlife in and around the course. This course is easy to walk. Many of the tees are elevated, but the terrain is mostly level with only a few hills. Most of the fairways are wide open, but tree-lined chutes pose challenges on several of the men's tees. The Dutcher Creek pro shop offers equipment, clothes, snacks, and beverages. From the patio outside the clubhouse, golfers can relax after their game and observe a panoramic view of the entire course. The setting here is spectacular. 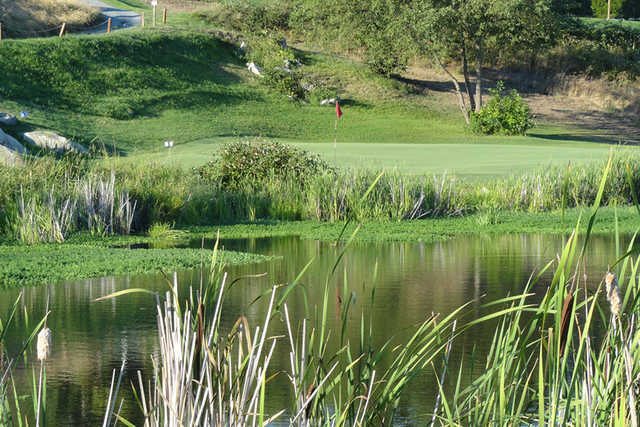 The course is fun for both the novice and the experienced golfer, plus Dutcher Creek is one of the best price values in Oregon golf that you can find. Designed by: Dutcher Creek Ent. Nice golf course. Clean layout well maintained. I wish there was a lounge and restaurant. Fun course. Fairly open with some challenging shots. Layout leaves something to be desired at times but the course is well maintained and easily walkable.